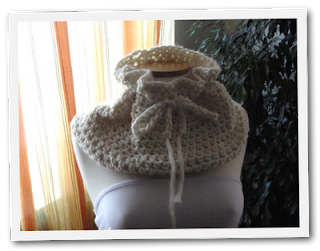 Happybee Italian Crafts and Quilts: Snowy Crochet Cowl Tutorial: Dany is sharing her crocheted cowl tutorial for you clever people that crochet. DIY Labels - Tutorial Over at Sew Delicious - using transfer sheets. Thread Head shows how she makes her tote bag with a zipper pocket. 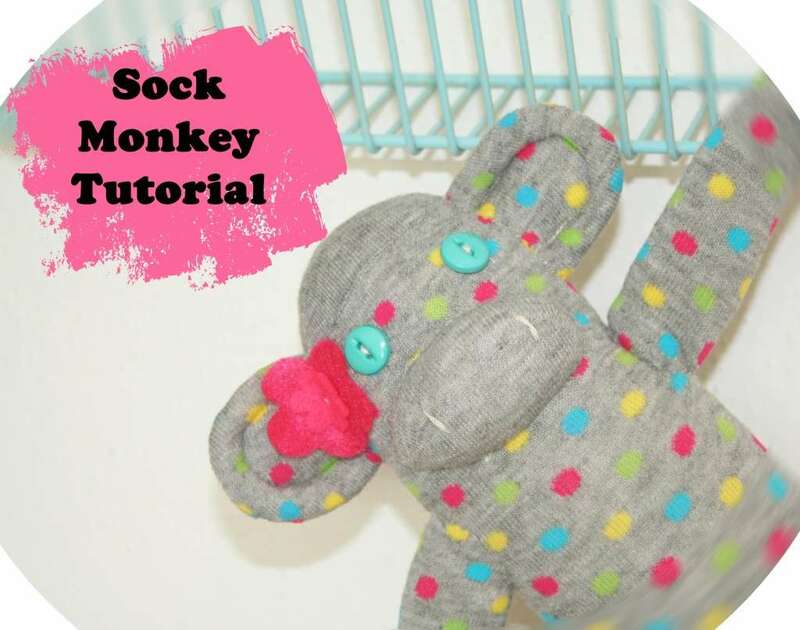 She also has a few other tutorials. I like her table-runner that she has made using some 6" star blocks. Don't you just love the name of this - You Zig, I'll Zag....just too cute. Designed by Rebecca Silbaugh for the Moda Bake Shop. 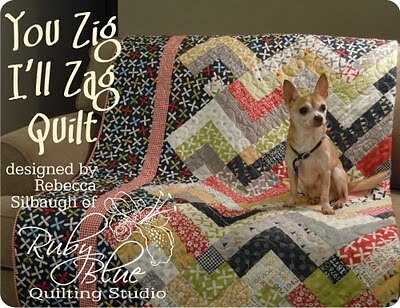 A Quilting Life shares the way she made a table topper from a charm pack and some ric-rac. 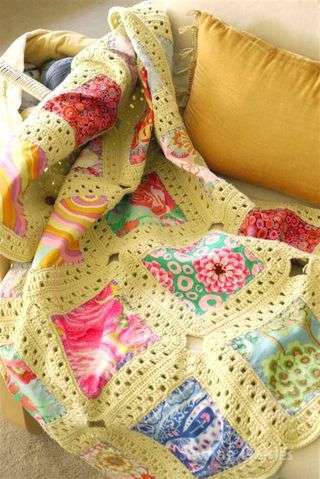 Sewing Daisies shows how she makes a quilt with a mix of fabric charm squares and crochet. Don't ya just love Sock Monkey's!! I do. Bumble Bee Bliss shows how she makes hers. 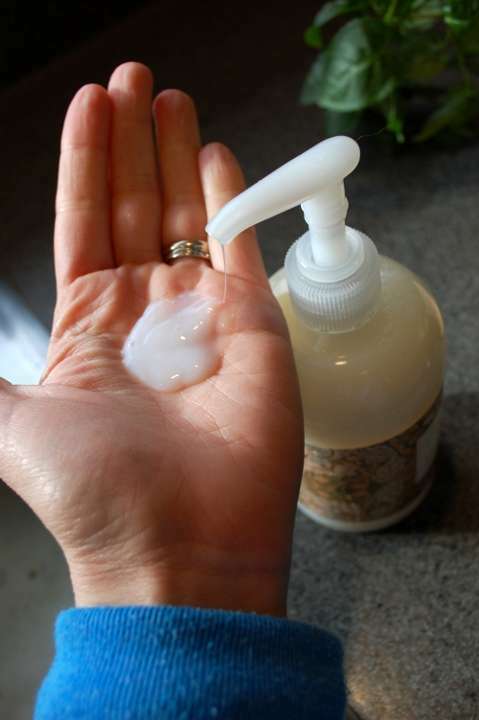 Savvy Housekeeping is sharing how she makes liquid hand soap/wash from bars of soap you may have been gifted and not using.